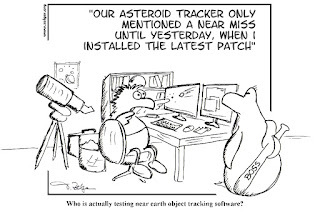 I dare to ask about the consequences of an eventually failing asteroid observation software. I think the good news is that there are a lot of amateurs out there who will use a broad variety of similar tools which calculate and “estimate” the same thing. If one of those tools fails, there is still a bunch of others who do it right. Redundancy is the key to success sometimes. 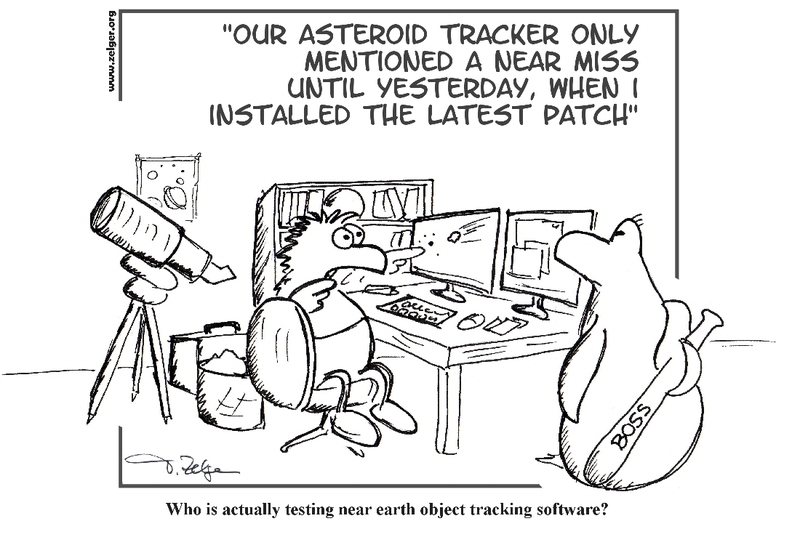 We usually try to avoid this in coding, but it has its place for instance at safety critical applications. But still, it needs a brain, common-sense and - believe it or not - capacity for teamwork, especially if you analyze inconsistent scenarios. Without one or the other, redundancy can also become deadly where it was actually meant to save lives. The two altimeters in an airplanes cockpit work independent from each other. If one fails, there is still a high chance the other works. But if a hard-headed doesn't take into account that it may be HIS altimeter which fails and not the one of his co-pilot, then it may end up in a disaster like the one in 1990 where the DC-9 was flying about 900 feet (275 m) too low during approach and then hit high ground at Stadlerberg, near Zurich, Switzerland.